According to data released by the UN World Tourism Organization (UNWTO), international tourist arrivals worldwide increased 7 percent in 2017 — the strongest growth in seven years. 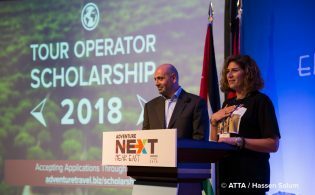 This upward trend is expected to continue, and as it does, those working in the adventure travel industry in the United States and Canada are rushing to stay ahead of the curve through continuing education and partnerships offering professional leverage. 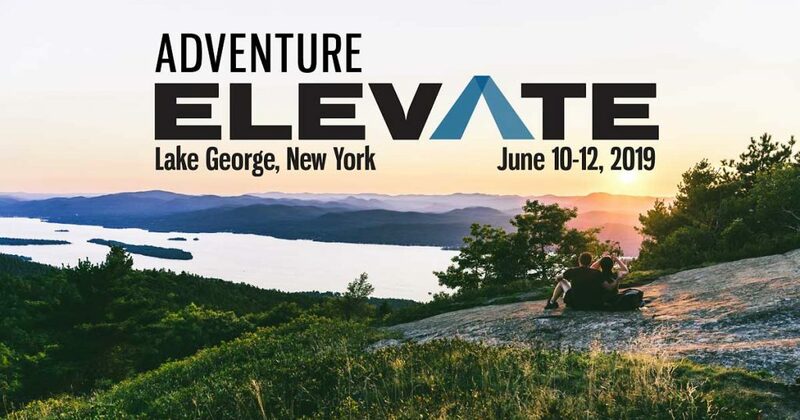 In 2019, these pros will converge in Lake George, New York, for AdventureELEVATE, three days (10-12 June 2019) of destination exploration, networking opportunities, and informative and interactive training. Under the theme of AWAKE, event delegates are invited to turn a sharp eye toward the evolving industry dynamics affecting their professional and personal lives each day, ultimately walking away with a fresh perspective, new connections, and a reawakening of their purpose in the adventure travel sector. Upstate New York’s lake region is the birthplace of the North American conservation movement and a natural destination for wilderness lovers and outdoor enthusiasts. Located at the foothills of the Adirondack Mountains, the area has been an adventure vacation destination for centuries. “The Lake George region sits in the heart of Adirondack Park, the largest park in the entire U.S. — larger than all of our national parks. It is a protected, forever wild area that has some of the most protected and pristine areas in the entire country, and it is home to incredible outdoor recreation,” said Kristen Hanifin, special event and convention sales director for Lake George Regional Chamber of Commerce and CVB, who also attended AdventureELEVATE 2018. AdventureELEVATE delegates will immerse themselves in all Lake George has to offer during the Day of Adventure. Once full itineraries are announced, expect to see adventures such as hiking and horseback riding complemented with stunning views, water activities such as kayaking and whitewater rafting, and cycling along routes far from passenger traffic. 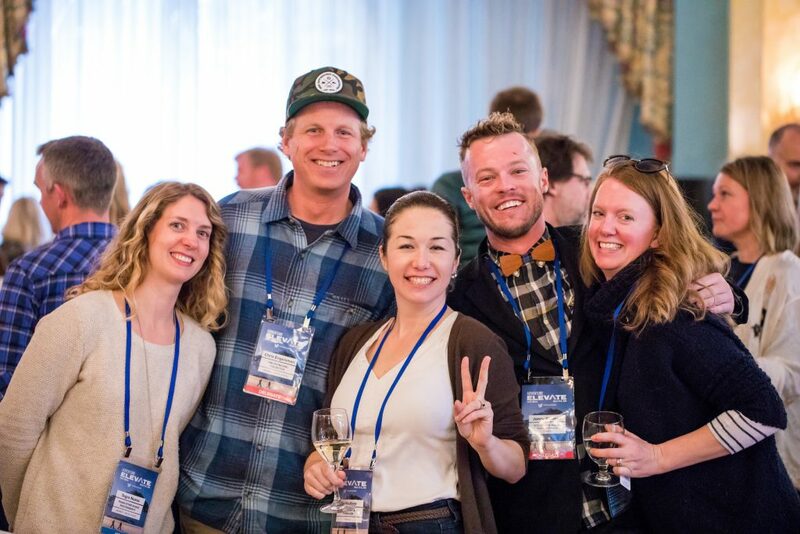 Now in its fifth year, AdventureELEVATE is gaining momentum among adventure travel industry professionals as one of the most important and practical professional trade events in North America. 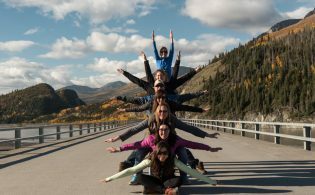 Designed specifically to address issues most relevant to North American adventure travel providers, the event sold out in 2018, reflecting the adventure community’s success with creating in-person connections and dedicating time for professional development. 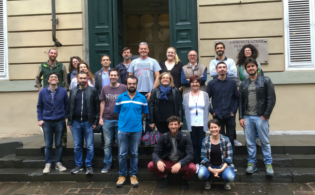 “Last year we received incredible feedback from delegates about how even these few days together helps to reinvigorate their businesses and destinations, and we anticipate a similar response at the 2019 event — especially with the intimate size of only 250 delegates and carefully considered content reflecting the theme of AWAKE. And, with Lake George’s convenient location, delegates will be in an ideal position to pair their AdventureELEVATE experiences with business meetings in New York City before or after the event,” said Casey Hanisko, president of the ATTA / Adventure 360.